Smartphone fidelity has not been my strong point lately. In the last 2 years I’ve had got through 6 phones. However, I am generally monogamous, sticking to one at any one time…but I seemed to be now, for the first time, genuinely torn between two different devices. Do I really have to choose between the LG G6 and Galaxy S8? Now this post started off as a review of the Galaxy S8 (as mentioned on our lovely podcast). But after our dear leader Leigh gave his fantastic review, it seemed better to expand on how it compares to a major competitor, the LG G6. One of the most important things I think in reviewing a device is giving it time to bed in. Get to know the nuances and what its like to use for an extended period. I often get infuriated with reviews which come out with 48hrs experience of the phone. Those are basically just first impressions. You only get a real idea after you’ve used the full gamut of its features on a day-to-day basis. For this reason, I try and use a device for as a daily driver for at least 4 weeks. I got my Galaxy S8 at the time of launch as an upgrade to my contract. I got the midnight black version and it is beautiful. This is, in my humble opinion, the best looking phone out there on the market. Samsung have really nailed the design. 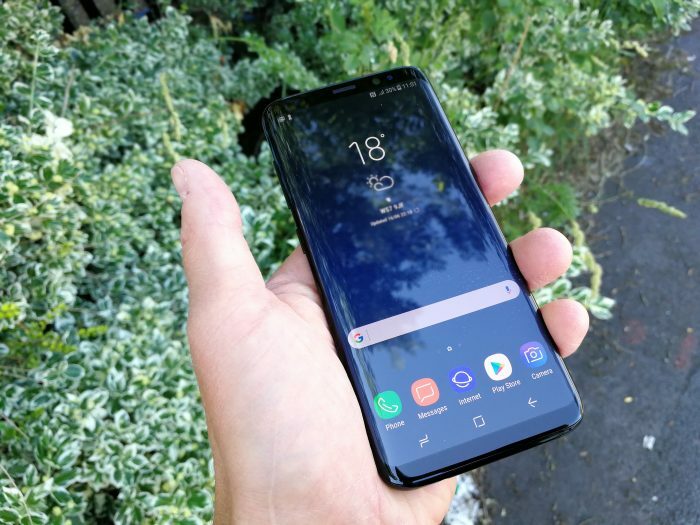 When switching it on I was blown away with the display, the bezel-less 18.5:9 screen is a marvel showing that Samsung have the best in display tech. The software as the latest incarnation of Touchwiz, now dubbed the Samsung Experience. And I quite liked it. It had a good design aesthetic, added loads of functionality onto Android 7 Nougat (Smart actions etc etc) and was responsive. I was head over heels in love and (even with all my laptops and tablets) it became my main computing device. It was my camera, my music player, my podcast player, my Netflix screen, everything. But there were some niggling doubts, i thought none of them would be deal breakers, but over time, they kept growing and growing. Firstly, the unlock situation. I don’t have the biggest hands, so thought that the off-centre fingerprint sensor wouldn’t be a problem….it was. Apart from being in an awkward position, I didn’t find it anywhere near as reliable as others by HTC, OnePlus, LG etc. This lead to a lot of fiddling trying to unlock the phone. “Don’t worry,” I thought “there’s an iris scanner”. And yes, there is a iris scanner….which only seems to work with my glasses off. Not the easiest. Secondly, there’s Bixby. Or more accurately, the Bixby button. Bixby is very far off being even half-cooked, and a dedicated button, that is very easy to hit, and the fact that (despite many attempts by developers) you cant remap or disable it, means that it’ll activate just when you don’t want to. Thirdly, the software. 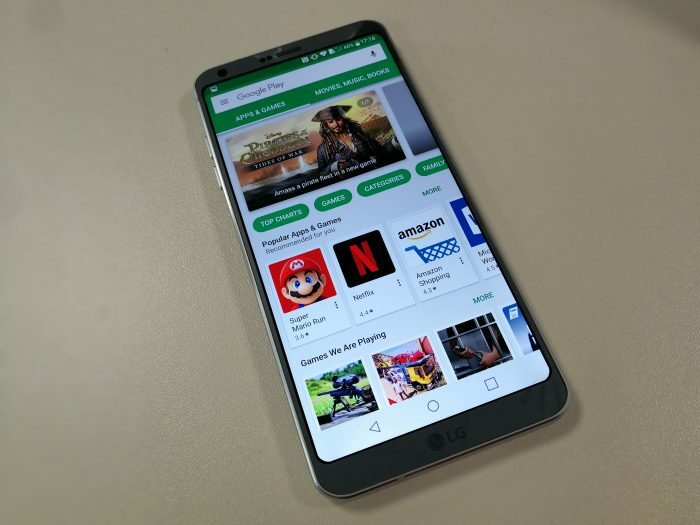 Ok, I know I’ve just said the software looked and felt nice, and I quite like manufacturer skins like Samsungs (sorry I mean distributions Matteo). I know that Android as an OS slows/lags/stutters over time…but after only 2 months? I felt like I was walking through treacle! I thought it was rogue apps, but a factory reset only solved it for a short while. I also tried changing animations, changing launchers and switching off features. But the same problems remained. Now….I may be biased in this regard. My last device was the OnePlus3 and that was, without doubt, the fastest and most responsive phone I have ever used. It also had some many useful tweaks (like swipe down to get the notification shade down) but without bloating the software. Coming from that, well, it could colour my expectations, but doesn’t change the fact that the S8 was quickly becoming very annoying. 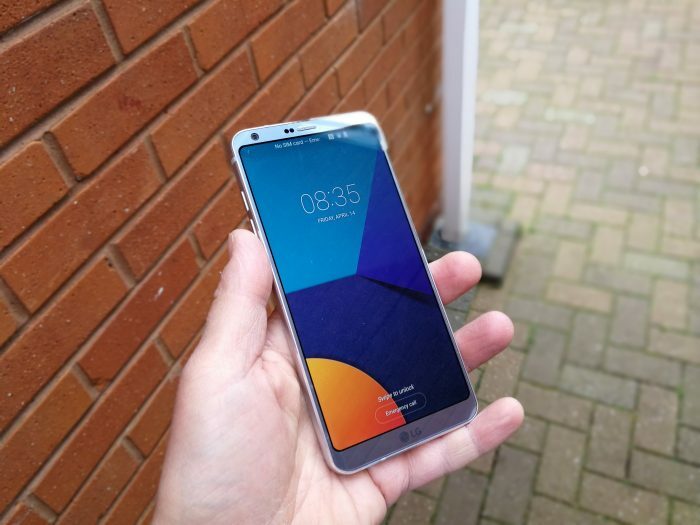 Anyhoo, I was continuing with the S8 when I saw a real deal on eBay for the G6. £389. For that, it seemed a steal. 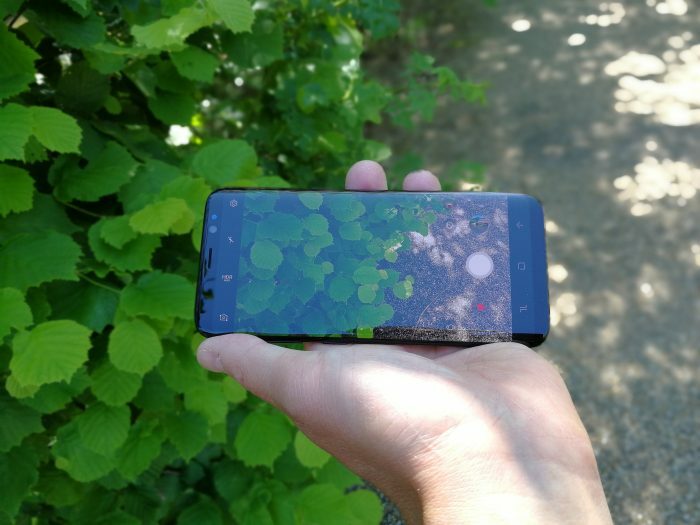 Thought I’d be a good secondary device, and I’d heard a lot of good stuff about the dual cameras. I was concerned about performance as it has the older Snapdragon 821 as opposed to the 835 in the S8. The base storage is lower at 32GB compared to 64GB on the S8, but there is still microSD expansion. All the “lifestyle features” such as water and dust resistance are also there. So, again, I thought to get a good idea of it, I’ll use it as my daily driver. What happened next was surprising (at least to me). I really, really liked it. So much so my S8 is now on sale! The G6 has a nice screen, it has a great dual camera setup with the wide angled-lens. But fundamentally (to quote a California-based fruity company) it just works. The skin isn’t the most aesthetically pleasing, but its quick, customisable and gets out of the way. There’s also some nicely thought-out features, like having a button to drop the notification bar. The fingerprint sensor is much easier to hit and work nearly 100% of the time. I don’t have annoyances of unlocking, I don’t have any annoyances with the software. The build quality is good (though not as good as the S8). Frankly what more do I need? I’m sure I’ll go all magpie and be wanting the next new hotness (OnePlus 5 anybody?). But this is a keeper. And so its clinched, G6 stays, S8 goes. 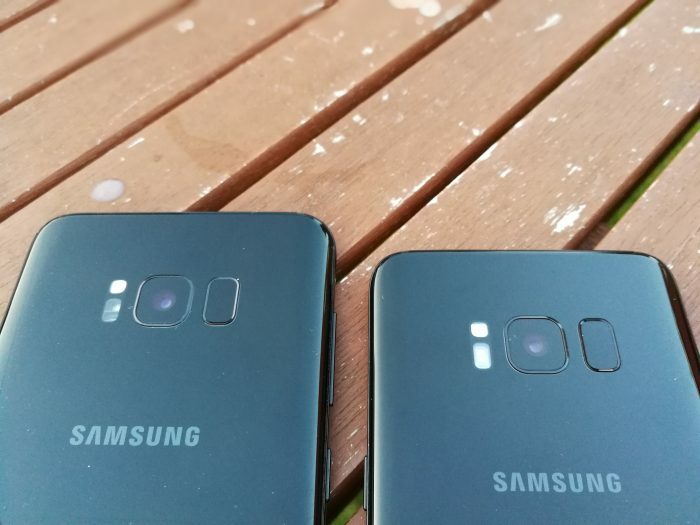 The post A Mobile Love Story – Comparing the Galaxy S8 and the LG G6 is original content from Coolsmartphone. If you see it on another news website, please let us know.